Hi Shin. Happy Holidays. I hope you are resting and eating well. Love your show and I think your cat Corn is adorable. You guys are doing great. Love you. Hmm.. I wonder what is your top3^^ My #1 favorite would be the last history box event on Japan absolutely, as it's the first time meeting you guys. Ho ho hoo But I also love all your other activities. Mirror Live, your dramas, Law of the Jungle, YangTen, Weekly Idol I love it all~ Thank you for all your work on 2017. You've done really great. How's your day? how's your christmas? 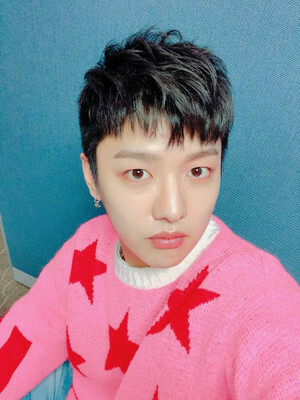 I hope you enjoy youre holiday with your family and cross gene. Reward meeting [History box] finally over congrats to all of you cross gene really did well  many CandYs enjoy the event I hope we meet too. How are you?? I will Support you . Hi shin!! Hows you? I hope yoh enjoyed the event and as well as the ocassion. Hows your Christmas Shin? Remember to take good care of yourself, eat on time and rest. I love you Shin! Love from Philippines! I never heard of Corn-chan's breed but he really looks cute though **^^** surely, when my Shiro and Corn-chan met, there's gonna be a world war for them hahaa Shiro is so naughty, clumsy and bully cat -.- yass... Bully.. She even bully little kittens T^T sorry little cuties.